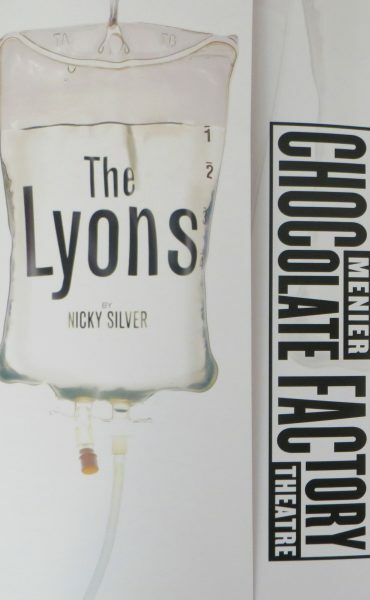 At the wonderful Menier Chocolate Factory, London the European premiere of Nicky Silver’s play ‘The Lyons’ is currently taking place. After the success of ‘The Color Purple’ (which truly was divine) the theatre is now hosting a play with 6 actors which is a wonderfully delicious black comedy. The gay son Curtis lives in a fantasy world of invented boyfriends. He’s so warped that he is the poster boy for The Great Lie Theory, which indicates that if you tell a lie enough you begin to believe it’s true. These are not fictitious boyfriends; they are 100% real to the warped Curtis. 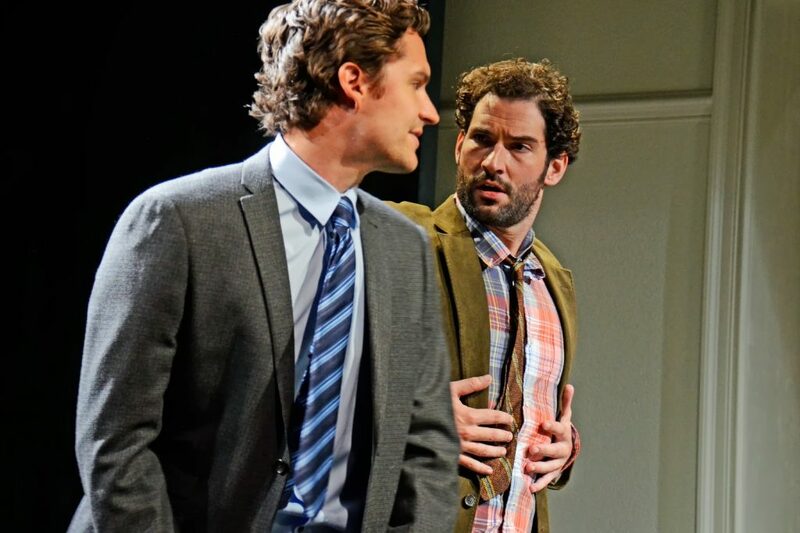 As a result of one of his fantasies, the obsession with the handsome young man whose apartment window faces Curtis’s and on whom he spies beats Curtis up after his advances in the Second act which leaves Curtis in the same hospital room that his father occupied at the start of the play. In the first act, The Lyons is a laugh fest. The second act sets us up for watching their world crash in bizarre ways. 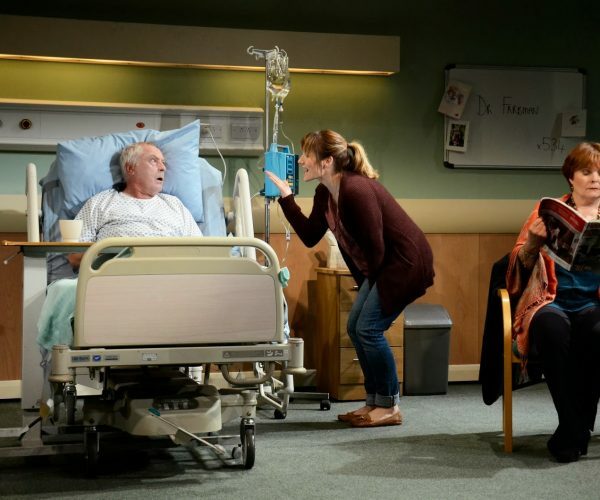 The majority of the play takes place in the same hospital room, apart from the one scene in an empty apartment. The character development is generally well honed, the pacing appropriately fast, the humoured horror is focused. 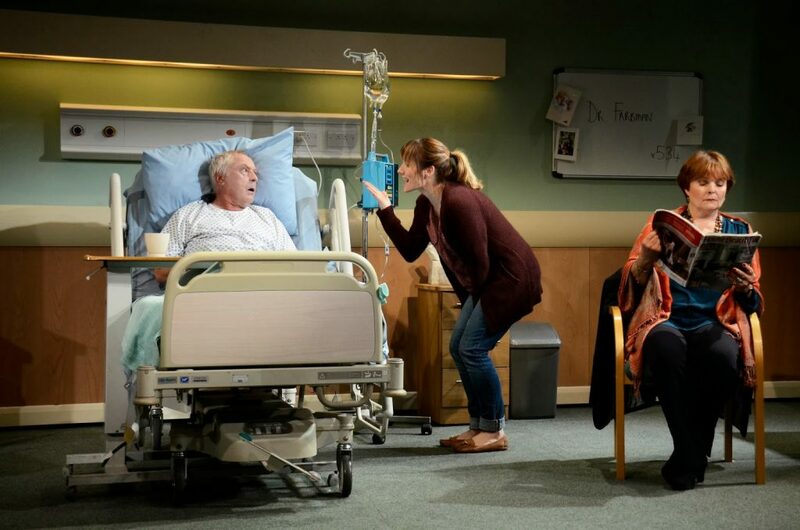 The set’s are superb and the hospital room has everything from a drip to those horrible tables your “dinner” is served on! There are great additional touches of music which play as you enter the theatre and inbetween acts. Nicholas Day screams his way through the role of Ben Lyons with such ferocity that it’s a wonder he doesn’t wind up in a real hospital bed with a stroke! 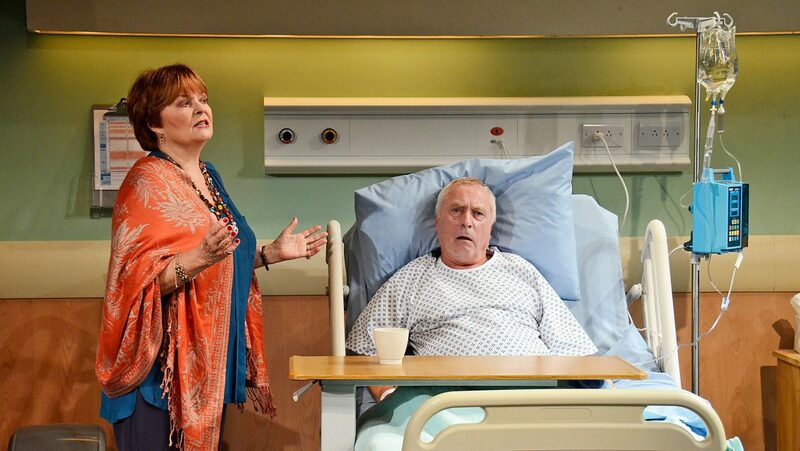 Isla Blair plays wife and mother, Rita, part ditz, part woman filled with life’s regrets. She creates a woman who when confronted with reality, says that she wanted to kill her husband, but “it was just a whim.” A woman who, instead of facing reality, is going to redo the living room in a “calming blue” because “even the carpeting is matted down with dysfunction.” Blair has several long speeches which carry much of the regret of the play. They are nicely performed. The children are played by Tom Ellis and Charlotte Randle who are both great at bringing the craziness of their character’s to the stage. When their mother states, “My whole life was a long parade of disappointments” and reveals on the day of her husband’s funeral that she is flitting off to Aruba that night with her daughter’s young male Alcoholics Anonymous sponsor their reactions are priceless! There are also additional performances by Katy Secombe as the nurse who looks after the two male family members and Ben Aldridge as the real estate agent who beats Curtis up. Both of these additional players add to the story arc about this odd family! 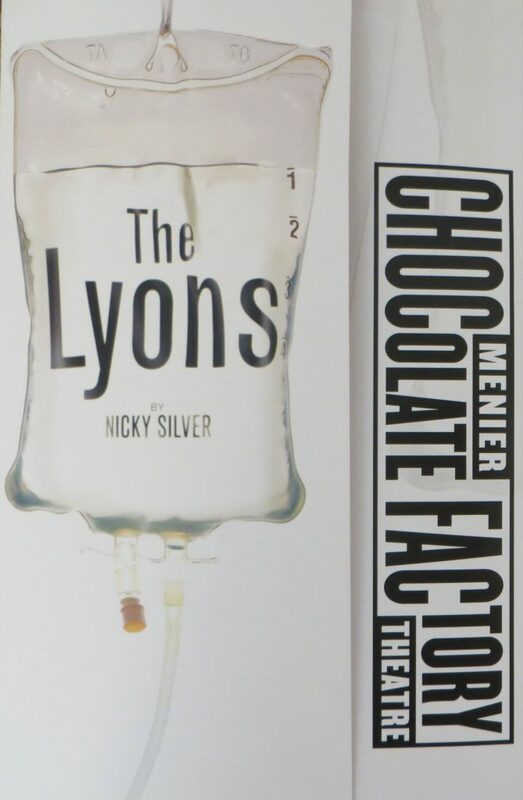 The Lyons is a dark comedy that leaves you thinking and evaluating life and the relationships you have with your own family, let’s just hope none of us are truly like The Lyons! Tickets can be brought online or at The Menier Box Office.